Digital disruption is rocking the payments industry with merchants, consumers, and the companies that help move money between them all feeling its effects differently. For banks, card networks and processors, the digital revolution is bringing new opportunities — and complex new challenges. With new ways to pay emerging, incumbent firms can take advantage of solid brand recognition and large customer bases to woo new customers and keep those they already have. For consumers, digital wallets are simplifying purchases, allowing users to pay online with only a username and password and in-store with just a swipe of their thumb or by 'tapping' their mobile device. While this technological revolution is good news for everyone involved in the industry, it does imply that the need for data analytics that generates actionable insights and helps prevent financial crime is now more important than ever. This is why Capita and its payment services provider PSP)r, managing transactions valued in excess of €10 Billion/year, reached out to Siren to bring a solution to one of their most daunting problems. 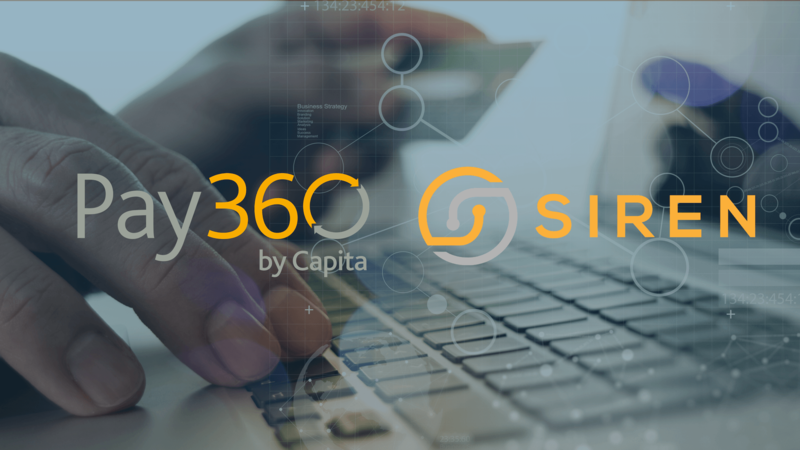 Pay360 by Capita, a UK-based Payment Service Provider processes circa 250 million transactions valued at over €10 billion (£9.6bn) yearly, wanted to gain the ability to perform analytical drill downs and reporting over the entirety of the payment records. Moreover, given the nature of its business, the company wanted to be able to use these capabilities to empower the respective departments to investigate incidents, prevent fraud scenarios and minimize the incidence of false positives in their operations. Deploying the Siren Platform™ over the clients existing infrastructure allowed this leading payment services provider to interconnect several entities across datasets such as cards, locations, merchants and user ID’s, as well as to ingest real time payment logs across their entire payment service utility.